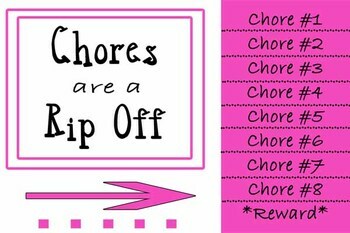 Chore Cards- Great for Life Skills or YOUR HOUSE! 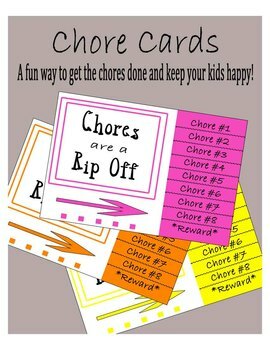 These chore cards are great for life skills for students with a little humor! Or use them at home shhhh I won't tell. Each time they do a chore they rip off a tab and soon enough they will be getting a reward! 6 different colors!